Mena, attended Clemson University and graduated with a BS degree in Insurance from the University of South Carolina and has served as Secretary/Treasurer of the Corporation since 1980. Mena once ran the Chicago Marathon with the Leukemia Society’s Team in Training, and she is an active member of Shandon Methodist Church. She volunteers with a number of Columbia-area organizations and enjoys tennis, reading, traveling and gardening. Mena is married to David Gardiner, a property/casualty insurance adjuster, and they have two sons, Parks and Alex. "I thought someone was speaking ugly of my buddy Stuart Hope in this month's World Aircraft Sales, by calling you a PUNC. Well instead I found you were sharing with the world what you have done for us for a long time. I am glad I have you in my corner to keep Pat and me straight. I do rely on you and I want to say 'Thank You'!" "Whew, thank you for the good news, and the super prompt response! You will always have my business. You wouldn't believe the number of calls I get from other outfits trying to solicit my insurance business from you! I have been so well treated by you and your company, though, that they will never have a chance!" "The service provided by Hope Aviation has been the most important factor for us. Whether it is on a difficult claim, reviewing a contract or a normal renewal, Hope has always provided the kind of service and assistance that we needed." "My sincere thanks for your 'Over & Above' efforts of this past Friday evening. I was so excited that there are still individuals that truly know the meaning of customer service. This shows me the level of service at Hope Aviation Insurance is something that is practiced and not just talked about." "We couldn't have asked for better service throughout this entire transaction - thank you for everything!" "The team at Hope Aviation always goes above and beyond the call of duty to meet our ever changing needs." "As much as I hate to pay for insurance I owe my peace of mind to the crew at Hope Aviation Insurance. They try their best to keep me protected and for this I say thanks. The care given is above the best!" "It is very reassuring to know that, whatever the situation, Hope Aviation will quickly and very satisfactorily resolve it." "I am a very satisfied customer and wish to express my appreciation for the professionalism, courtesy, and promptness with which you handled my circumstance. You lived up to every expectation that Hope Insurance has assured me of." "I am very thankful that I was dealing with quality people and a quality insurance company." 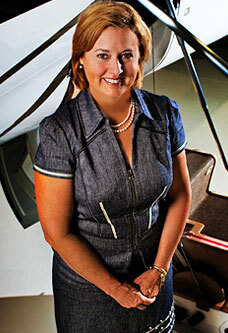 "Hope Aviation makes buying insurance a pleasant experience!" "You and your entire staff at Hope Aviation have been great to work with. I never worried about anything because I knew you guys had our best interest at heart and, in this day and time, that is an exception and not the rule." "Thank you so very much. Someone like myself who cares about client relationships and the timeliness of meeting expectations. Outstanding job!" "One of the many pleasures of managing the aircraft has been working alongside Hope Aviation for our insurance needs. It has been a wonderful experience. I will never hesitate to recommend Hope Aviation to all that ask."